I have only 3 weeks of time to prepare for my next attempt which is booked on 17th July since I have some urgent work which requires me to fly out of the country after that. I also went through the gmatclub forums for a couple of my weak topics. I need to crack the GMAT this time. I realise the time left is less but I have no option. Could someone please guide me on my plan forward? Also, which practice tests should I use to gauge my performance since I've used up GMATPrep ones. You may want to focus your energy on solving the really easy questions in as little time as possible - so you open up more time to spend on the more time-intensive questions and hopefully boost your accuracy. Make sure you don't make any silly mistakes such as answering the wrong question. There's a distance possibility that the best way for you to strengthen your application is to delay your application(s) so that you can pick up the meaningful Work Experience that your application requires. 1) What Schools are you planning to apply to? 2) When are you planning to apply? If you are aiming for a top school, we would suggest you to aim for 740 or higher score. 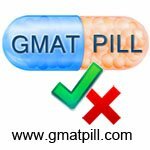 Why it is a very good decision to take your GMAT again? 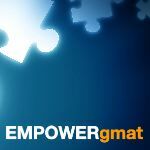 GMAT is the only controllable aspect of the entire application cycle. The probability of getting an admission in the top B Schools increases significantly by higher GMAT scores. According to a survey conducted on more than 600 applicants, the students scoring less than 700 has 0% to convert for top B schools. This increases to 18% for the GMAT score of 750 or more. Moreover, the higher the GMAT score, the higher the chances of getting a scholarship. The tuition fees for a two year global MBA course can be more than 80,000 $ and is increasing at a very rapid pace. The scholarship and fellowship will significantly reduce the financial burden. Also, assuming you are an Asian, you will a score slightly higher than the average score for that school. Asians are expected to have a good Quant score. Recently GMAC has taken into account the region wise benchmarking. GMAC introduced a benchmarking tool that allows admissions officers to compare applicants against their own cohort, filtering scores and percentile rankings by world region, country, gender and college grade-point average. More on this can be found here: http://www.wsj.com/articles/on-b-school ... 1415236311. 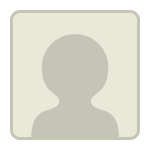 You have a decent Quant score with some good effort you can reach the Q49/Q50 mark. However, in Verbal, you need to improve by 5-7 points (on the scale of 60) to reach arounf V40-V42 that will take you somewhere around 740 overall. Note that once you reach the V38 - V40 level, there is nothing new that needs to be learnt. The difference between a V38 guy (or V35 for that matter) and a V40+ guy is the application of learned concepts. After crossing the V40 mark, your score is largely determined by your diligence and application skill level. A student should know how to apply the learnt concepts properly to cross the V40 border. At this stage the tricks and shortcuts tend to fail and only students with a proper approach to questions succeed. This is what we do at e-GMAT. We teach our students a foolproof process to solve questions and make them follow the same. This is the reason for our high rate of success. Here are examples of few folks who were in your shoes and have accomplished their dream score using e-GMAT courses. 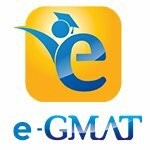 I would recommend you to look at our Verbal Online course: https://e-gmat.com/courses/verbal_online/. Verbal Online is perfectly apt for you. Verbal Online requires 80 hours of effort and if you can devote sufficient time you can easily finish the course in the time you have. Verbal Online is a self-paced course and there is no fixed schedule or batch constraint. You can access the course contents as per your convenience. You get a study plan as soon as you complete your purchase. The study plan outlines the order in which you approach concepts. Hope this helps. Please let me know if you need any information. If you dont mind Aishwarya007 can you please give your experience in ISB and opportunities you got to build you career and what are the sources there to help ourselves. Congrats, my friend! Good luck with things moving forward.